On a boulder 10m above the 25 Bosses path. Sitstart on the right of the left arete, climb the overhang and exit directly with the left crack. 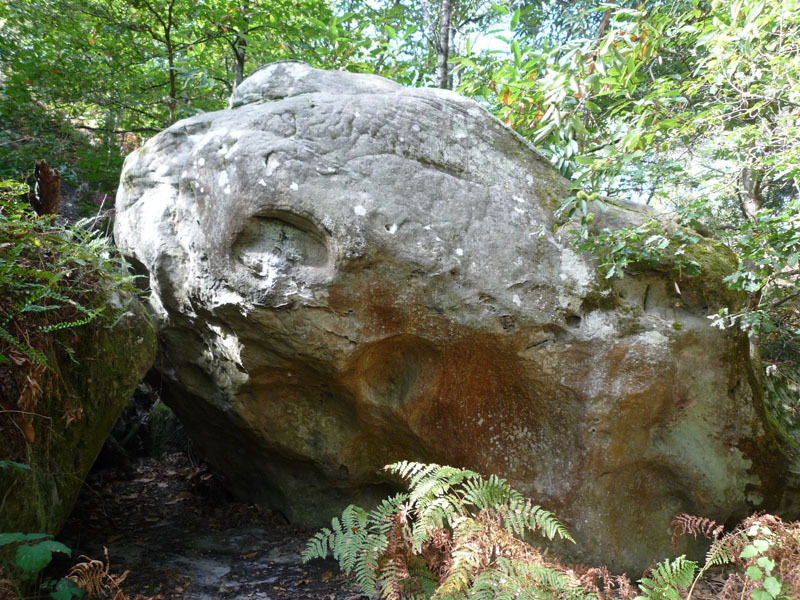 Access: follow a small path from blue n°29, cross the 25 Bosses path; the boulder is 10m above, on the left.